The ongoing dispute over the quality of work at the Defense Contract Audit Agency took a new turn on Thursday with the release of a Defense Inspector General’s Office report criticizing the professional judgment used in DCAA assignments dating back to 2010 and earlier. The March 7 report -- which the deputy IG acknowledged was delayed for two years while the office’s staff focused more on DCAA hotlines than audits -- covered quality assurance reviews on 50 DCAA reports completed in the first half of fiscal 2010. Significant quality issues raised included “external impairments to independence, inadequate planning, poor communications with the requester and contractor, insufficient evidence, unsupported or untimely reports, poor documentation, and ineffective supervision and quality control,” the report said. It recommended that some of the reports be withdrawn or revised, adding that DCAA managers agreed in principle. “Since August 26, 2009, DCAA has not had an opinion on its quality control system covering DCAA audits and attestation engagements” nor has it submitted to an external peer review at least every three years, as required by Generally Accepted Government Audit Standards, the IG said. Pentagon executives, in statements emailed to Government Executive, complained that the IG report focuses on old work and fails to factor in reforms instituted at DCAA by Patrick Fitzgerald after he took over as director in November 2009. "I'm troubled that the focus of this is on work that was performed between 2006 and 2009, which completely ignores the changes our employees have made in the last three years,” Fitzgerald said. “Not only does the report fail to reflect current operations, it's an unfair characterization of the significant improvements our workforce has made in audit quality. While the issues raised in the report are important, the time period of analysis doesn't begin to account for the progress we've made." 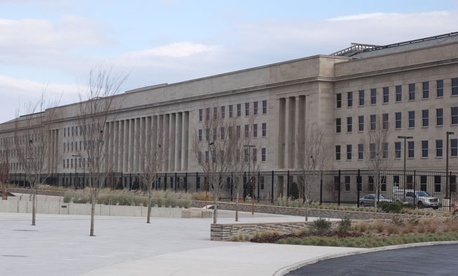 Fitzgerald’s boss, Pentagon Comptroller Robert Hale, said, "I am deeply disappointed that this report is being issued when it so clearly reflects old data and replicates findings previously made” by the Government Accountability Office in 2009. “I question the usefulness of a report that is being issued four years after the DCAA work was performed. I remain committed to ensuring that DCAA execute its mission effectively, and I welcome fair analyses that focus on DCAA's current work."